Butterflies of Alaska, A Field Guide, title page. 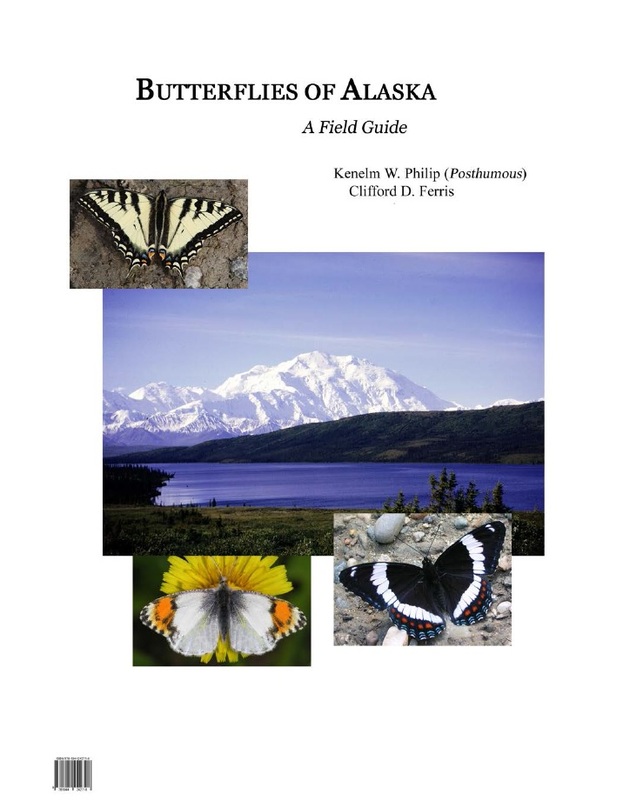 Butterflies of Alaska, A Field Guide, Second Edition. Kenelm W. Philip (Posthumous) and Clifford D. Ferris. iv + 110 pages, spiral bound with durable covers; 8.5″ x 11″. The now known 80 resident, 5 casual species, and one currently unconfirmed species are illustrated in full color. Each species entry includes information about geographic distribution, habitat, basic biology, flight period, diagnostic characters, and field behavior. A species index and plant index are included. The second edition includes the recently described (2016) Oeneis tanana as well as addresses several taxonomic issues; a flight-period graphic has been added. The book pages have been reformatted such that there is coverage of only one species per page. Maps have been updated to reflect additional records obtained after the first edition was published. $30 plus postage. ISBN 978-1-945170-60-7. The book will be available at the sellers listed below. Alaska Geographic bookstores in Denali National Park, Tetlin National Wildlife Refuge, and Anchorage.